Rebel Up & Friends session @ Kiosk Radio with Nathan Daems (Echoes of Zoo) & Kornelia Binicewicz (Ladies on Records) online now! 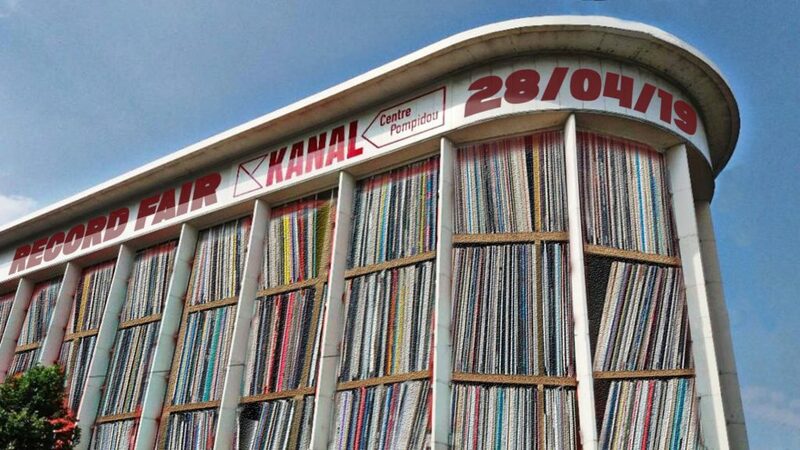 and 2nd hour with Kornelia Binicewicz of Ladies on Records (and who made the amazing Turkish Ladies compilation as well as her work for the Uzelli reissues), tune in below for some Asian & Turkish psychedelic selections! Rebel Up DJ’s SebCat & LeBlanc will play dj support at the Nyege Nyege Tapes night @ VK Concerts in Molenbeek. a night with underground sounds from central & eastern Africa. With live sets by Uganda acholitronix duo Otim Alpha, Disco Vumbi and the Trance Parents Orkestra! see all info in FB event or website. Afterwards from midnight onwards til late, Rebel Up SebCat will play at Bonnefooi for the BRDCST festival afterparty, together with Kornelia Binicewicz (of Ladies on Records / Turkish Ladies compilation). Expect a flurry of heavy global sounds. Also with a mystery African DJ guest. Curious? come. On tuesday 11.12 at Acienne Belgique > concert of Les Filles de Illighadad (NG) and Delgres (FR). with support by the Rebel Up Nightshop dj’s. duo concert of amazing deep female tuareg blues and a Caribbean powerrock trio! This evening has now become a real global blues-rock event, a double-bill with as opener Les Filles de Illighadad. They have been popular in AB since a previous edition of BRDCST. At the time, we read: ‘Fresh Tuareg energy between trance an tradition’ (Gonzo Circus). Delgres is a super agile and impelling blues-trio from Guadeloupe in the Caribbean. Expect Dobro guitar, plus drums and a sousaphone! On monday afternoon, we are giving away a duo-ticket to 1 lucky person. Check our Rebel Up facebook page to see how to win it. SOUNDS FROM THE GLOBAL UNDERGROUND! This year, BRDCST Festival has again formed an alliance with the neighbours on the other side of the street – music bar Bonnefooi @ Steenstraat 8 – to offer an extra platform for exciting and innovative sounds. see all dates on the BRDCST page or website. is Italian-Japanese DJ & Producer Gianluca Daiichiro from Florence, but based in Milan. He is considered one of the pioneers of the international tropical bass sound which he loves to infuse with ethnic influences. From 2011 to 2016 he formed the duo Ckrono & Slesh and has released productions, remixes and collaborations on renowned labels such as Trax, Enchufada, Lowup, Fania, Voodoo Rebel, Babylon Recs, Mr. Bongo, Meanbucket, This Is Kuduro, Funk Na Caixa and much more. Ckrono’s DJ sets are journeys through Afro-Latin-Brazilian grooves mixed with powerful sub basses coming from Italian Fidget, Uk Funky and American’s trap music. All of this can be attributed to the experience gained by spinning alongside heavyweight DJ’s like Fatboy Slim, Crookers, Clap Clap, Branko and DJ Marfox — including gigs all over the globe in Europe, USA, Mexico and Japan. His 1st time in Brussels, be sure he will put the Bonnefooi on fire with heavy bass! Expect all flavours in a global roundtrip between vintage & contemporary beats & heavy bass. Rafael Aragón is a DJ / producer whose roots extend into Arab and Latin cultures, growing up in the Parisian suburbs in a cosmopolitan world that has shaped it. He started producing beats at the age of 20, obsessed by the idea of mixing folk music with more electronic patterns and creating a balance between organic and synthetic. He’s also part of the Brussels collective Global Hybrid, known for their amazing global and ancestral parties allover Brussels. So far he has released remixes, productions & EP’s on labels such as Caballito, Babylon Records, Global Hybrid Records and many others.